Avon Bug Guard Collection–Play the Bug Guard Game! Avon wants to help protect you and your family from mosquitoes, deer ticks and other certain biting insects during outdoor activities this summer. I’m excited to share the latest news about Avon’s legendary, bug repellent collection, as well as introduce you to Avon’s first-ever online game – the Bug Guard Game. The Skin So Soft Bug Guard collection is the go-to choice for insect repellency, featuring products that are tough on bugs but soft on you. 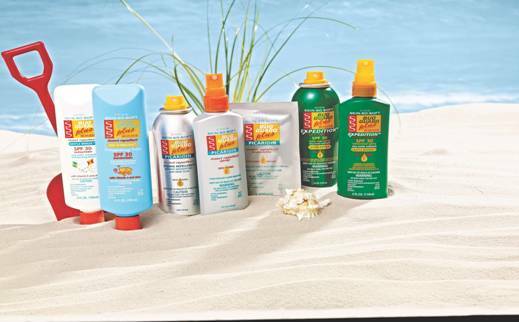 Bug Guard Plus IR3535® Expedition ™ SPF 30 ($14-$16) – Combined sun and insect protection in one product and available in an Aerosol spray and Pump spray. Strong and long-lasting repellency against mosquitoes, deer ticks, sand flies, gnats, no-seeums and biting midges. Bug Guard Plus Picaridin ($14-$16) – Protection during dusk & dawn, which is when mosquitoes are more active. Repels deer ticks that may transmit Lyme disease and mosquitoes that may carry West Nile virus. Available as an Aerosol Spray, Pump Spray and travel-friendly Towelettes. Bug Guard Plus IR3535® SPF 30 Lotions ($14) – Repel mosquitoes, deer ticks, black flies, sand flies, gnats, no-seeums and biting midges. Aloe and Vitamin E-enriched formulas are available as a Gentle Breeze Lotion and Cool ‘n Fabulous Disappearing Color Lotion.